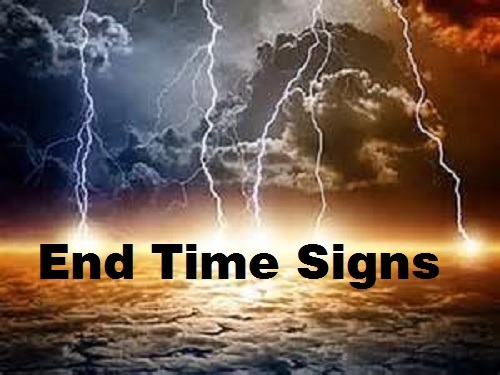 Most Christians are still hesitant to declare that the end-of-this-age is upon us; however, there are many who are seeing Biblical end time signs coming to pass at an alarming rate and are beginning to panic. Current events and recently published books describing patterns of judgments from history and from the Scriptures are stirring many to anticipate the end to be within a matter of months, even days. Few today are searching Scripture and seeking God’s direction in order to comprehend what Christ taught concerning the times that are now upon us and how to become ready. Those announcing that something is about to happen are missing God’s purposes for these events. As many study and speculate, few allow Christ’s words to take precedent in their interpretations. There is only one correct scenario for the end of this age, the one that Christ taught. “From the fig tree learn its lesson: as soon as its branch becomes tender and puts out its leaves, you know that summer is near. So also, when you see these things taking place, you know that he is near, at the very gates. Truly, I say to you, this generation will not pass away until all these things take place. Heaven and earth will pass away, but my words will not pass away. But concerning that day or that hour, no one knows, not even the angels in heaven, nor the Son, but only the Father. Be on guard, keep awake. For you do not know when the time will come” (Mark 13:28-33). Here are more important words of Christ concerning the end, “See that you are not led astray. For many will come in my name, saying, ‘I am he!’ and, ‘The time is at hand!’ Do not go after them. And when you hear of wars and tumults, do not be terrified, for these things must first take place, but the end will not be at once” (Luke 21:8-9). We are in the generation that will experience the end of this age and the signs that Christ spoke of are pointing to His return to be in the very near future, indeed Christ second coming is at the very gates. This understanding should have been embraced by all Christians back in the 90’s, if not earlier. Yet today, in spite of the mounting evidence in the fulfillment of Christ’s words, most of God’s people are paralyzed. Christians are continually swayed by all the different false interpretations and conjectures by most leaders on how the end will play out. Few see for themselves the truth and shake themselves to stay awake, for Jesus said, “And what I say to you I say to all: Stay awake” (Mark 13:37). As some Christians are beginning to realize that this is the season of Christ second coming, many are pointing to time frames for possible disastrous events to take place, such as a great economic collapse, the overthrow of the American constitution, earth quakes, marshal law, nuclear war, or an attack on Israel that will be devastating. Many set dates, months or a year as to when these events will unfold. Jesus addressed these trying and anxious times by stating, “It is like a man going on a journey, when he leaves home and puts his servants in charge, each with his work, and commands the doorkeeper to stay awake. Therefore stay awake—for you do not know when the master of the house will come, in the evening, or at midnight, or when the rooster crows, or in the morning—lest he come suddenly and find you asleep. And what I say to you I say to all: Stay awake” (Mark 13:34-37). As for the period of time that is now upon us (the season), we see what Jesus said would happen in Matthew 24 and other related passages. Wars, tumults, persecution of Christians, great fear upon the whole world, vexing immorality, and Israel as a people and as a nation no longer trampled upon by the nations of the world. Of the Jews, Jesus foretold, “They will fall by the edge of the sword and be led captive among all nations, and Jerusalem will be trampled underfoot by the Gentiles, until the times of the Gentiles are fulfilled” (Luke 21:24). The times of the Gentiles are now coming to an end, because the nation of Israel was planted and continues to grow, where Jews worldwide are returning from their centuries of captivity to their own land. Now the whole world is set against the security and welfare of Israel as her enemies boldly proclaim annihilation for all Jews. God has protected the nation of Israel since its foundation in 1948 and will continue right up to the day of Armageddon and beyond. Stop worrying about Israel, it is the condition of God’s people, the Christian that should be of real concern, for soon most Christians will be trampled upon. Yes, hatred and persecution for believers has begun, for Christ warned us, “You are the salt of the earth, but if salt has lost its taste, how shall its saltiness be restored? It is no longer good for anything except to be thrown out and trampled under people’s feet” (Matthew 5:13). Christianity has turned into churchianity, full of hypocrisy and corruption, and most seemingly on fire churches are in love with this world, prospering yet lukewarm. God’s people are bumbling and stumbling as the world is busy throwing Christians under the bus and trampling upon their religious rights. Christians can expect more insane persecution, hatred, and death throughout the world as hatred towards Christians continues to increase, and now even in America. The massacre of college students in Roseburg Oregon recently demonstrates the increasing waves of persecution in the United States. In this mass killing spree the gunman singled out those who were Christian and summarily executed each—shooting those who professed Christ in the head at pointblank range. “Then they will deliver you up to tribulation and put you to death, and you will be hated by all nations for my name’s sake. And then many will fall away and betray one another and hate one another. And many false prophets will arise and lead many astray. And because lawlessness will be increased, the love of many will grow cold. But the one who endures to the end will be saved. And this gospel of the kingdom will be proclaimed throughout the whole world as a testimony to all nations, and then the end will come” (Matthew 24:9-14). In above passage Christ lays out a portion of his scenario (the correct scenario) concerning how the end will unfold. Following the event sequencing in this chapter we can clearly see where the world and Christians are in the end-of-this-age event line. (The end-of-the-age is not a time line that one should try to calculate, but rather the sequencing of events, where the time between each event is orchestrated by Father God—and only He knows the timing and durations between each event, including Christ’s return.) However, in these events we see a pattern of turmoil and tragedy growing exponentially with intensity and frequency. Some of Father God’s purposes in the seemingly long and sporadic time-line between these events is to wake up His people in time, to raise up His true messengers, and to clean house. Again, the length of time between these end-of-the-age events are becoming shorter and shorter, like the pangs in child birthing. In the end-of-the-age event sequencing, we are approaching mass persecution towards Christians that will facilitate a great falling away of the false Christian, leaving a true and faithful core of believers who will suffer and endure to the end—who will be part of the final testimony to the whole world concerning the coming kingdom of God. Yes the Gospel of Christ has spread worldwide, but because of the weak testimony of God’s people, the world treats Christianity like any other religion. However, after the coming persecution and house cleaning of Christ’s church, a powerful message will arise from a remnant of true believers. When the smoke clears from the soon to come pressured falling away, God will herald with great force the good news of the coming Kingdom (the preaching of Christ’s scenario concerning the end of this age). And this gospel of the kingdom will be proclaimed throughout the whole world as a testimony to all nations, and then the end will come! And then the End will Come! This soon to come great and powerful awakening and testimony by the true Church of Jesus Christ is what will signify the start of the end. Towards the end of this announcement period of the coming kingdom, the anti-Christ will appear and the Great Tribulation will begin, where every kind of disaster will occur almost simultaneously, forcing the world to embrace a new world order to the save the day. And with this coming upheaval the end will finally come with the Great Tribulation harvest of souls that will culminate in the rescue of the saints (the rapture) at the end of the Great Tribulation period. This period of time (the Great Tribulation) will be cut short by God himself, as Jesus said in this passage: “And if those days had not been cut short, no human being would be saved. But for the sake of the elect those days will be cut short” (Matthew 24:22). So stop listening to lengths of time and time-date calculations. The purpose is the harvest souls for the kingdom of God—so let’s get down to business and do God’s will and become ready. “Then one of the elders addressed me, saying, “Who are these, clothed in white robes, and from where have they come?” I said to him, “Sir, you know.” And he said to me, “These are the ones coming out of the great tribulation. They have washed their robes and made them white in the blood of the Lamb” (Revelation 7:13-14). Again, stop looking at dates and time frames and look to Christ’s words concerning the events that are now taking place. The end has been in the making for some time and will not come at once. As a ministry we see the hour approaching and we are praying for more time to get ready, which is at Father God’s prerogative. “But watch yourselves lest your hearts be weighed down with dissipation and drunkenness and cares of this life, and that day come upon you suddenly like a trap. For it will come upon all who dwell on the face of the whole earth. But stay awake at all times, praying that you may have strength to escape all these things that are going to take place, and to stand before the Son of Man” (Luke 21:34-36). The Cry of Job Will Soon be Heard Throughout the Land!